Several recurrent eruptive jets on AR 12736. Maybe small flares? 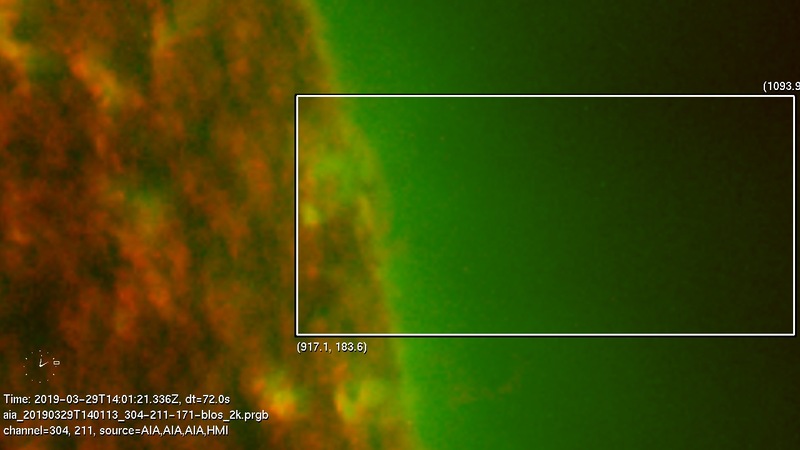 Fast re-build of the prominence body can be observed. Relatively complicated velocity field and fast motion result in large difference between the raster images obtained in blue and red wings of Mg II lines. 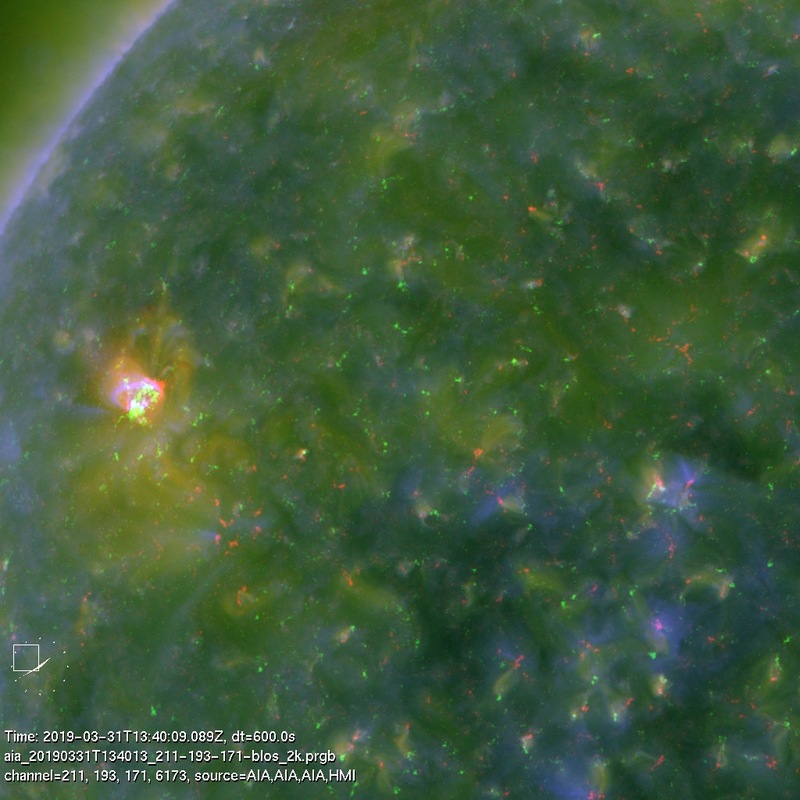 Several B-class flares and other eruptions/jets taking place on AR 12736 as it approaches the limb. 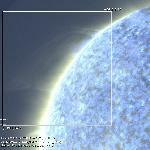 Several B-class flares occur in quick succession on the same region of AR 12736. 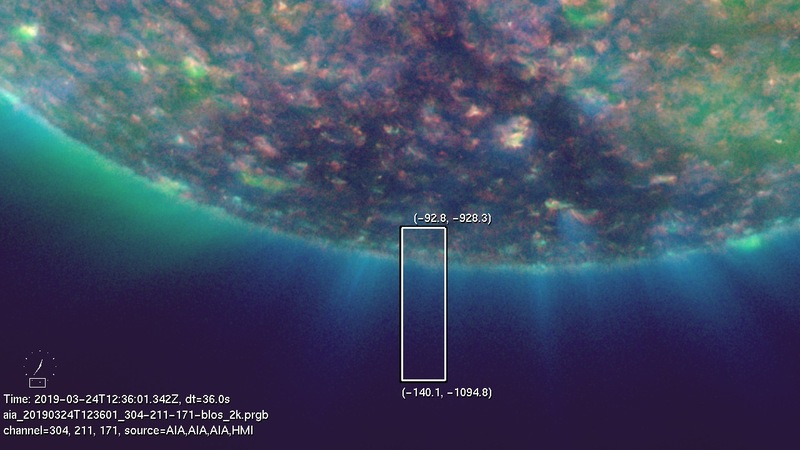 An eruption of the material in AR 12376. The erupted material is significantly broader than typical jet. Small transition region loops under the slit, providing high temporal resolution spectroscopic observations of the evolution of the loops. 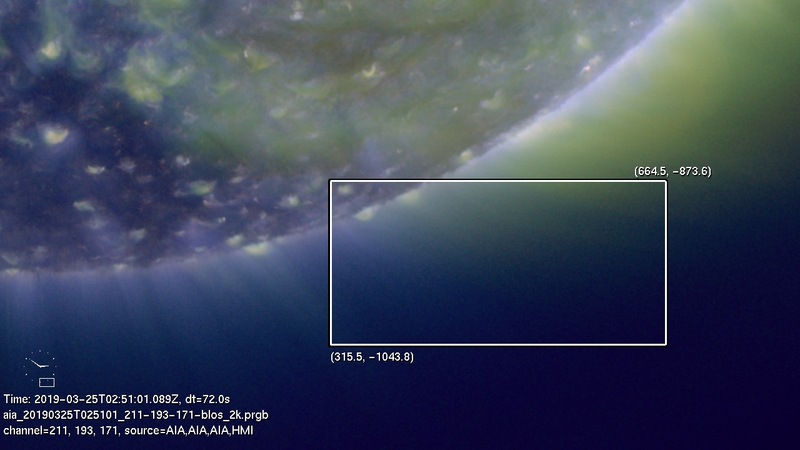 A jet in the coronal hole at South Pole is observed by IRIS and the higher portion of the jet is under the slit. Small transition region loops under the slit. Interesting eruption occurring in QS close to North Pole. 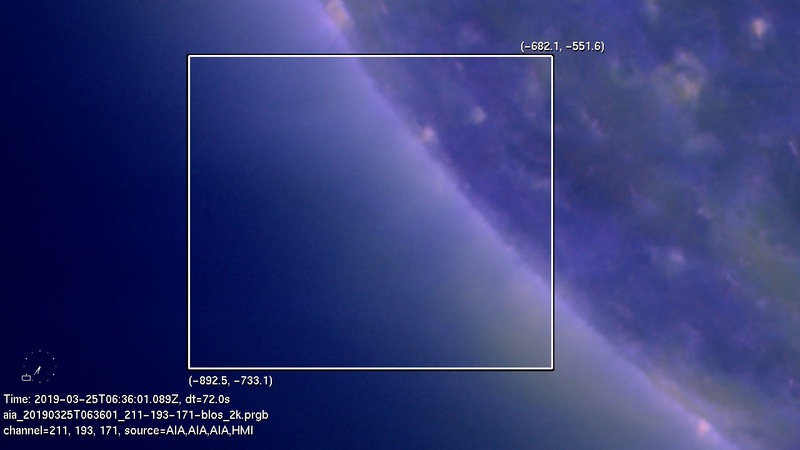 The eruption is observed in several passbands (both IRIS and AIA). The emergence of NOAA AR 12737 captured from its very beginning. This AR appears to be of a simple bipolar nature. Fast and narrow, but not so collimated, eruption from the backside. 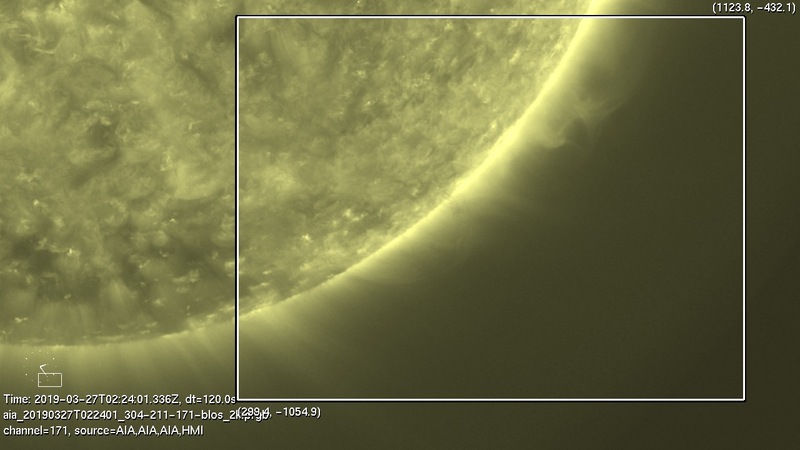 A low-lying prominence is seen to be disturbed, so the source region may not be too far behind the limb. 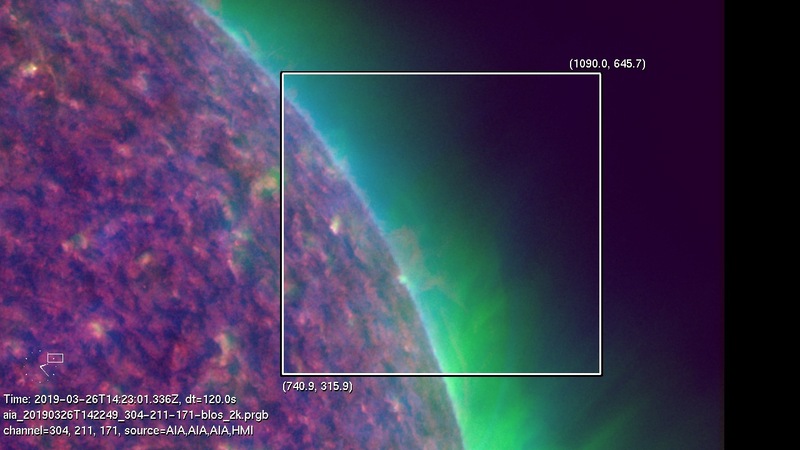 A narrow but bright CME is associated (http://spaceweather.gmu.edu/seeds/mkmovie.php?cme=20190329.162526.w031.v0489.p272&frame=10&r). This gives an eruption that turbulent motions of a prominence system slowly let go the overlying structure seen in 171 A images. It is not clear what happened to the outward motions at greater heights - no CME. This diffuse eruption started slowly without explosive behavior or producing clear post-eruption arcades. 171 A is the best wavelength to observe it at a greated distance, suggestive of the lack of hot material. 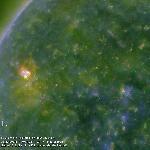 The possibly associated CME is http://spaceweather.gmu.edu/seeds/mkmovie.php?cme=20190327.041207.w027.v0276.p251&frame=16&r. Even though turbulent motions of a prominence preceded the eruption, it was probably triggered in a region slightly behind the limb. 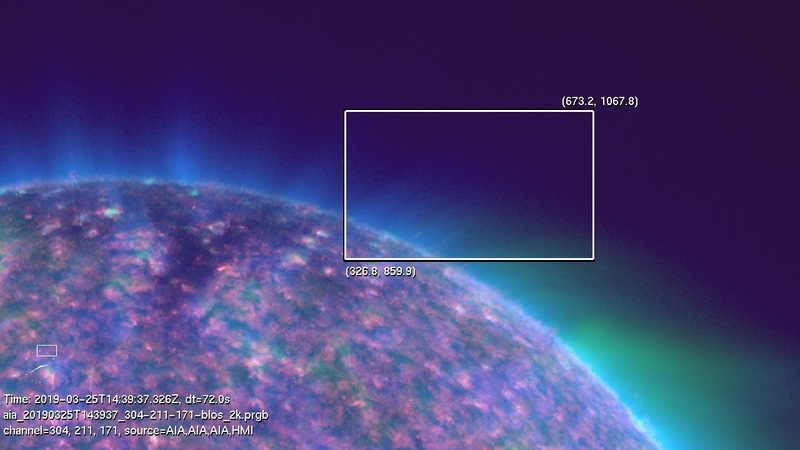 The associated CME is http://spaceweather.gmu.edu/seeds/mkmovie.php?cme=20190326.151211.w017.v0441.p282&frame=7&r. This jet involves a cool helical structure seen in 304 A that delineates untwisting motions. The eruption seems to trace a large-scale closed structure. This jet seems to contain a closed structure and flux rope. The ejection is non-radial. This looks like a typical jet. No magnetic field elements are found near the footpoint in HMI Blos data. Adjacent areas also show contemporaneous jet-like activities, which is not too common.